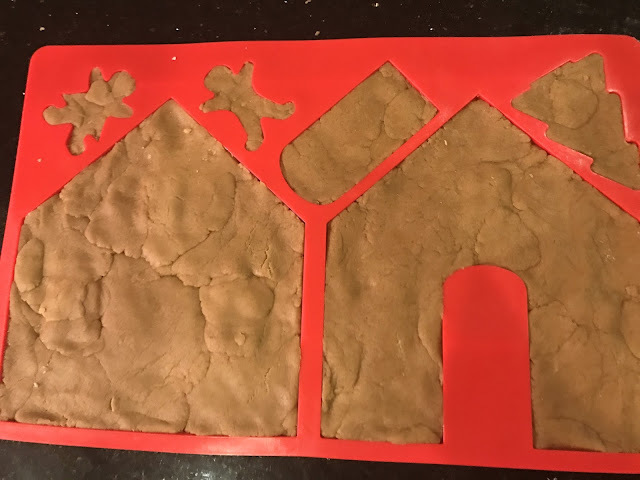 I've only made one gingerbread house before this and let me tell you, they are much harder then they look! 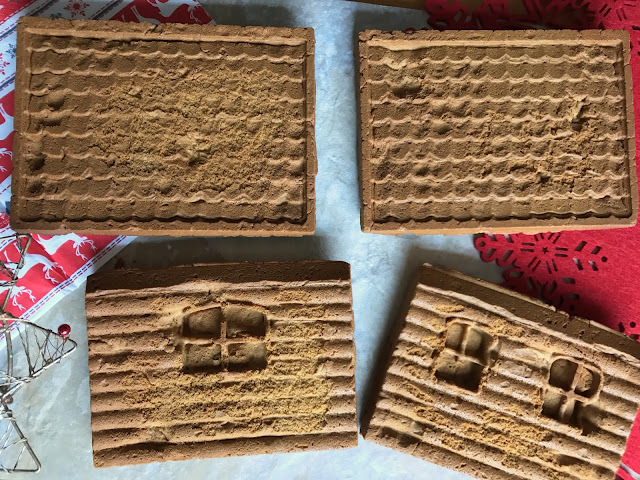 But this year, I bought a mould from Amazon that would make it to get the perfect gingerbread house. The one I got is no longer in stock, but if you type in 'silicone gingerbread moulds' into Google you'll find a few different varieties. 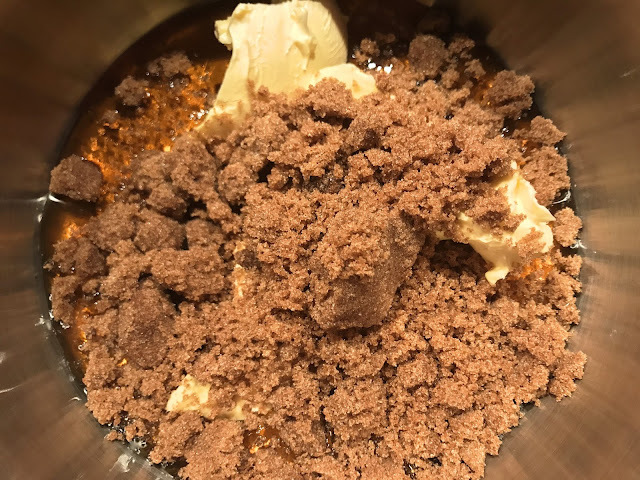 I used a recipe from a book I borrowed called Homemade Edible Treats.. but unfortunately I can't remember the authors name. If I find it, I'll update this post as soon as! 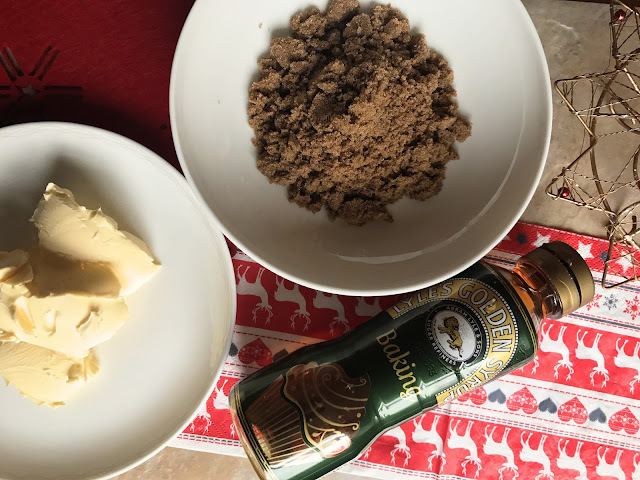 1) Melt the butter, golden syrup and brown sugar in a pan until liquefied. 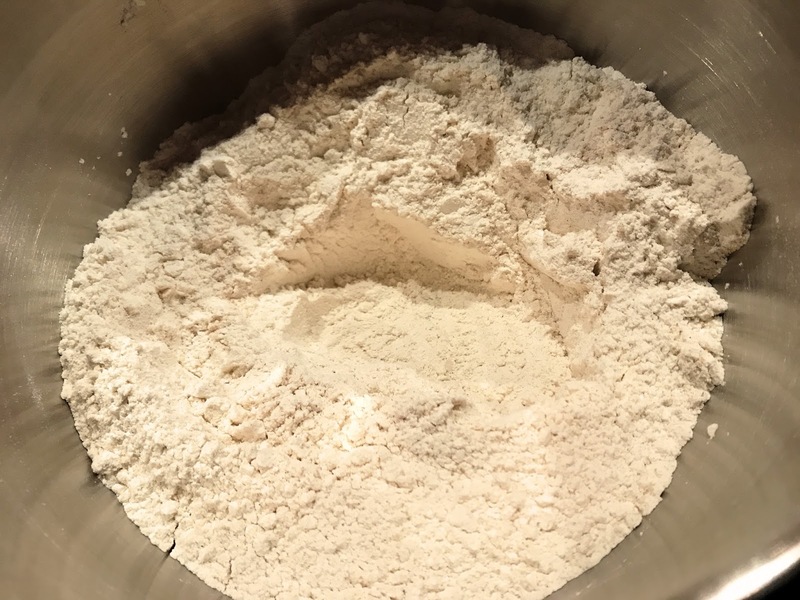 2) Mix all the dry ingredients together, ensure it's sifted to make it easier to mix. 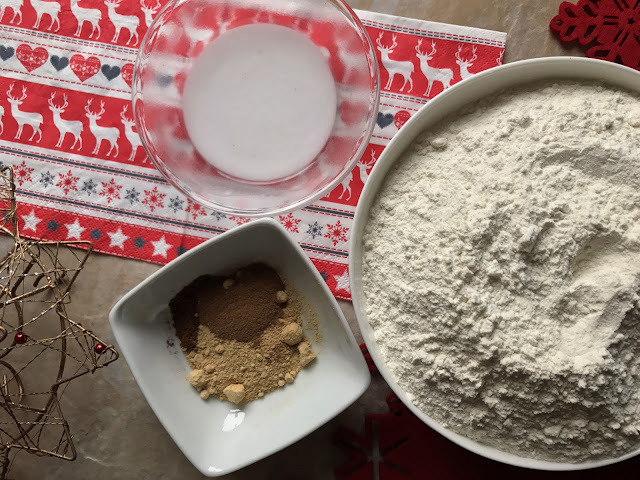 4) Make a well in the dry ingredients and add in the wet mixture. Fold it in until thoroughly mixed. It will begin to combine together and form a slightly dry dough. 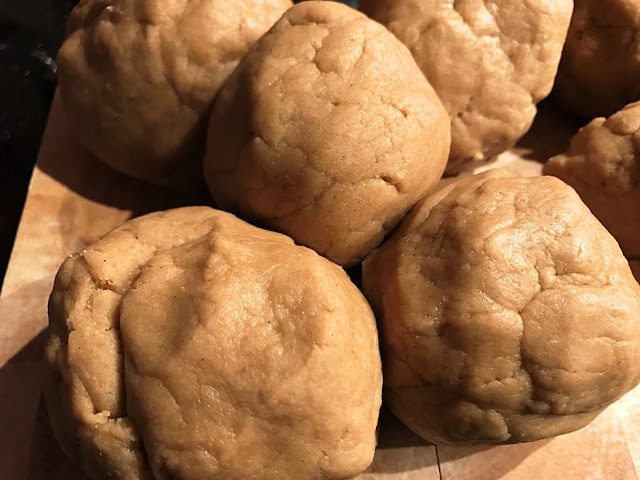 Begin to kneed with your hands and you will get a dough-like consistency like below. 5) I separated the mixture into smaller balls to make it easier to work with. Now I started off by moulding each of the balls into the silicone moulds and you can see it's quite patchy. This will be on the inside of the panels so you don't have to worry about it too much. However, once I baked it, it increased to double the thickness! So my advice is to roll out the dough into a sheet about the thickness of a £1 coin and place it in the moulds, ensuring that the corners and edges tightly fit. This way your gingebread won't be too thick and heavy. I personally found the panels stood up easily when they were thick but it's down to personal preference! 7) So I decorated my panels before I put them together. All I really did was use royal icing to outline the windows - at first I used an icing mixture that was too runny so it went all over the place, but the next day I went in with a thicker mixture to tidy it up a bit. Then I added little pretzel sticks around the edge to give the appearance of a picket fence. You can add any kind of sweets/chocolate as you may like. Look at pinterest for some inspiration! 6) Assembling the gingerbread house is probably the trickiest part. You want to make a royal icing mixture that has a similar consistency to super glue. If it's too runny then it will take longer to stick and you'll have to wedge the panels between something to keep it standing. 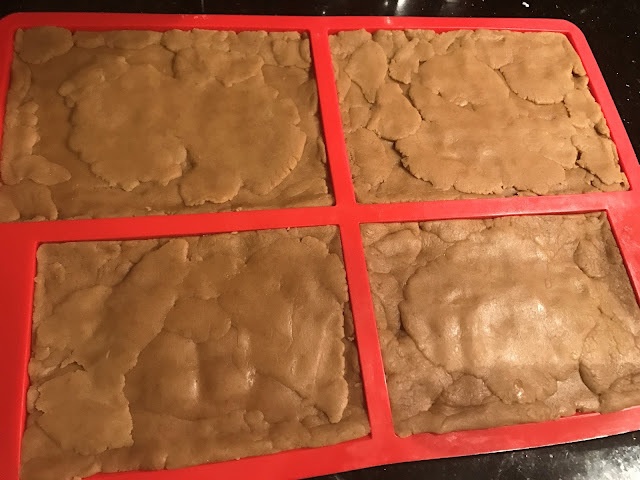 I only put icing at the bottom of one panel to help me hold it all together. Do the side panels first and lean jars of food around it to keep it standing up right while it cools. Don't worry about it look messy, the icing makes it look like snow. Once this is dried, add the roof panels, these are surprisingly easier. Mine is admitedally not the best out there, but I wanted to share this post with you to show how good the silicone moulds are! 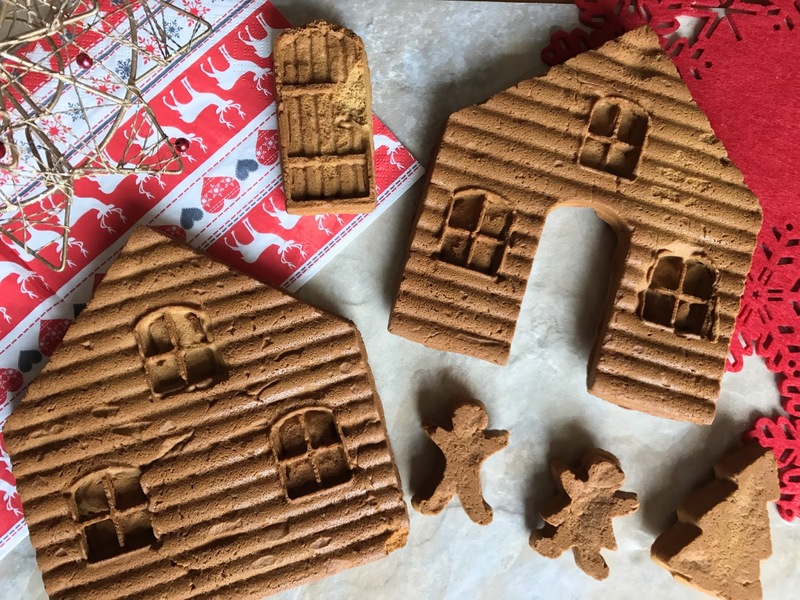 If you're more creative and patient than me then you can really get a good pinterest-worthy gingerbread house! I'd love to see your gingerbread houses, tweet me @neelamjayna showing me your amazing creations! !